This device is actually made from titanium. Not only does this mean less greater durability, it also means better less irritation than its acrylic custom hearing aid counterparts. 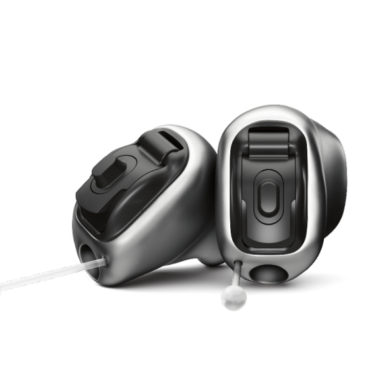 The hearing aids are also more water resistant and dust proof than ever before – a common drawback of older custom in the ear hearing aid models. Battery life on the Virto B Titaniums is 20% better than previous in the ear (ITE) generations. These new aids are powered by size 10 batteries, the smallest hearing aid battery on the market. The aids also have a 24bit chipset making them the best in class for music reproduction. 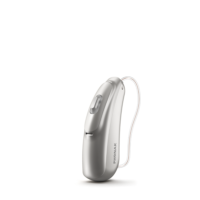 You prefer hearing aids that are discreet. 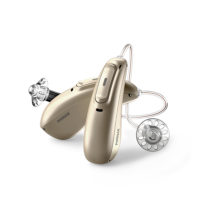 The Titaniums are the smallest invisible hearing aids on the market. 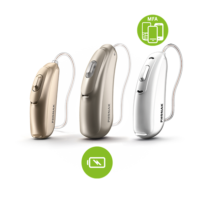 The Phonak Virto B Titanium comes in two technology levels, the advanced Virto B70 Titanium and the premium Virto B90 Titanium. They suit customers with mild to moderate hearing loss best. 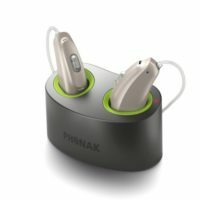 A Hearing Choices consultant can discuss whether they are the right hearing aid for your needs. How long is the warranty on the Virto B titaniums? These hearing aids come with a 3 year full manufacturer warranty. Customers also have the option to extend their product warranty for a further 12-24 months. Do the Virto B Titaniums have bluetooth functionality? No. Because of how small these custom products are, the current generation of Virto B titaniums don’t have bluetooth functionality or any wireless capacity. If you’re looking for phone and music streaming ask one of our dedicated staff members for a compatible product. How long does it take to get my custom Virto B Titaniums? Getting a custom moulded hearing aid always takes longer to arrive from the manufacturer than a Receiver in the Canal (RIC) or Behind the Ear (BTE) device as it needs to be sent offshore to produce. It usually takes about 2 weeks for your new Virto B titaniums to arrive back into the clinic ready for your fitting.